Today is launch day for Star Wars Battlefront II, although the game has been playable for a while via EA Access/Origin Access and then via the purchase of the Elite Deluxe Edition which unlocked the game three days ago. 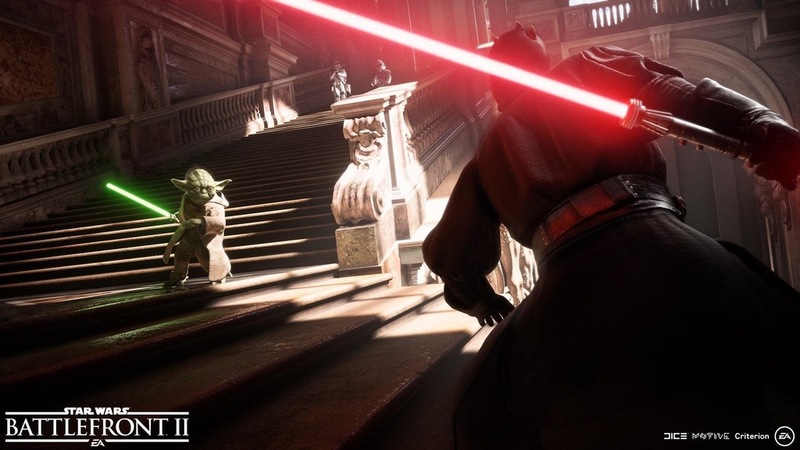 After the continuous backlash from the community due to the loot box system implemented in Star Wars Battlefront II and its potential gambling as well as Pay-to-Win implications, EA and DICE have decided to temporarily remove all microtransactions from the game. This is certainly good news for the time being, though we’ll have to wait and see exactly what kind of changes and tweaks to the system DICE will be able to introduce. At this point, the best outcome would be to limit microtransactions to cosmetics only, for instances unlocking additional species as playable characters. Design Director Dennis Brannvall did provide some hope that customization will be expanded significantly in the future during the recent Reddit AMA. Nothing is too late. As you’ve noticed, we weren’t able to get the customization system into the game in time for launch. I’m actually having artists and designers walk up to me today showing me cosmetic stuff they really want to get out there. I think we have probably the best looking Clone Troopers ever made and I know players really want to customize them (I know I do). I can’t really commit to a date just yet, but we’re working on stuff and I believe it will change the game tremendously on all levels.